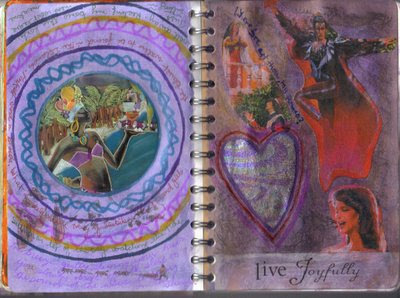 Here is another page in my art journal. We journalled around an image that spoke to us. The images on the right seemed to call out to me - "JOY".